It's saving most of the details for the Frankfurt Motor Show next week, but GM subsidiary Opel has now offered up the first glimpse of its all-electric One Euro Car, which seems bound to turn a few heads on the show floor. The car's name comes from the company's promise that the it will consume just one Euro's worth of energy (or about $1.40) for every 100 kilometers, though there's no indication of a price for the car itself other than that it'd be "affordable" -- if it ever goes into production, that is. Otherwise, the company's only saying that it will boast a top speed of 120 kilometers (or 75 miles) per hour, room for two, and a total weight about a third that of a modern compact car. 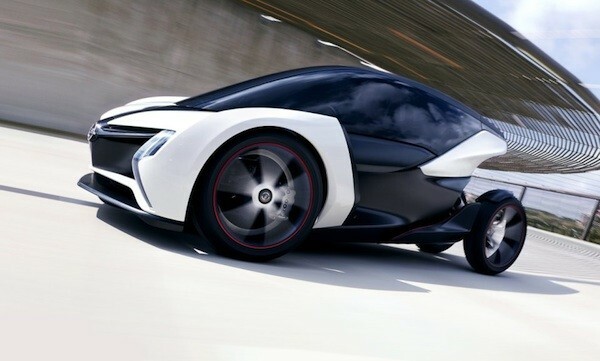 Opel shows off all-electric One Euro Car concept originally appeared on Engadget on Thu, 08 Sep 2011 22:37:00 EDT. Please see our terms for use of feeds.